Are you one of those people with a knack for baking perfect scones or putting together a unique, spicy salsa; a recipe so good that people are constantly saying, “You should sell this!”? I am not one of those people, but I know a few of them and often wonder how they could get their wares into a store or farmers market. After all, we all know you can’t sell food you’ve made in your own kitchen (We do all know that, right? Right?). 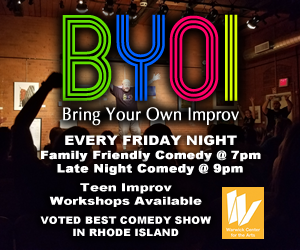 Here in Rhode Island, anyone with a good recipe and some talent for executing it can go out on their own by using a food business incubator – a fun, fancy term for renting out kitchen space that’s been approved by the Department of Health. The pioneer of our local industry is in Warren at Hope & Main. They’ve been in business since 2014 and we wrote about them when they celebrated their one-year anniversary. Since that time, their business has grown exponentially and now they’re a full-scale operation for food entrepreneurs. Their motto is “make food your business” and they do that by giving their clients (or as they call them “member companies”) everything they need to be successful. Aside from renting kitchen space and storage, they also offer a host of services, most notably classes on the business end of food sales. Last year they held over 40 classes on topics like pricing, branding and accounting – all geared toward business growth, not food preparation, because their clients have that covered (or can go to Johnson and Wales). They’re all about creating a supportive community for would-be food entrepreneurs. Most of their clients’ products end up at your local grocery store. Check out their website and you’ll most likely recognize many labels you’ve seen on the shelves at Dave’s, Eastside Marketplace or Whole Foods. One of their biggest success stories is The Backyard Food Company, purveyors of delicious dips, condiments and pickles. They got their start at Hope & Main and are now poised to become a national food brand. Then there’s PVD Donuts -maybe you’ve waited in line for 20 minutes for a brioche-raised donut with rose glaze and pistachio meringues. 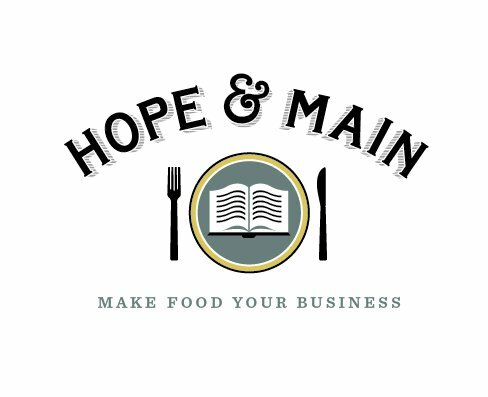 They too got their start at Hope & Main, where they tested their recipes on the public. It took a mere six weeks to go from “Can we make it?” to “Oh yeah, we got this,” and now they’re an independent operation. Neither of these incredible businesses could have gotten off the ground without a place like Hope & Main. Pretty cool, huh? The kitchen incubator business is growing, which is not surprising given the countless culinary geniuses in our foodie state. Aside from Hope & Main, Foodworks Providence (formerly the Armory Kitchen) offers space in the west end of the city, and Kitchen in Woonsocket had its ribbon-cutting ceremony on June 3. Rhode Islanders with a winning recipe now have a plethora of options available to start their own food business. Options for selling are also growing. Though getting those products on a supermarket shelf is ideal, it’s not the only game in town. Food vendors can set up a stall at any farmers market or start a pop-up restaurant, run a catering business or a food truck, teach cooking classes … the possibilities are endless. And imagine once Eat Drink RI Central Market gets off the ground. In case you haven’t heard, Dave Dedakian of Eat Drink RI is in the midst of putting together a world-class marketplace in Providence near the ferry terminal. The market will be akin to Chelsea Market in New York and Pike Place in Seattle, featuring restaurants, fresh meats and produce, and locally prepared food items. This culinary hub will be the perfect end of the food chain, so to speak, for anyone with a great recipe they’re ready to take to the streets. And it will secure our place on the world food map as Rhode Islanders continue to excel, and surpass, others in the food industry. Not too shabby for the nation’s smallest state.